Team celebrates rise to the summit with a chug from hat-trick heroine Molly Palletts jug(s). 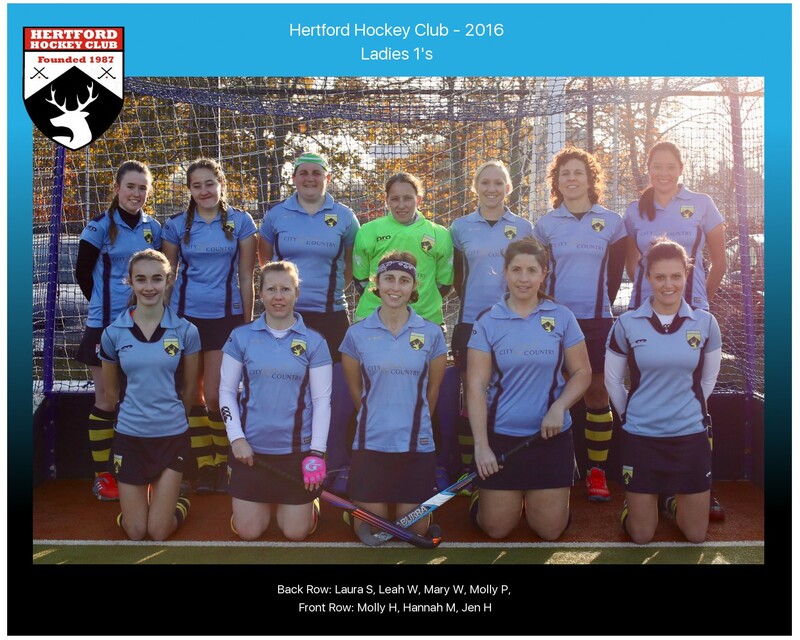 Hertford Ladies’ 1s continued their upward trend this week and secured joint top spot of 5 counties Premier League after beating St. Albans 5-1 at home on Saturday. The game started evenly with a lot of end-to-end play with strong breaks from both sides hungry to win the ball. However Hertford stayed solid with Basil Wilkins in defence and a subsequent drive up the pitch from Holly Mayes gave Hertford the upper hand as the ball pinged up across the goal for Evie Reynolds to volley in with an athletic cricket shot! Seconds later, Hertford won a penalty after the St Albans keeper took out Lizzy Moore. Molly Hobson stepped up to take but was sadly denied by a lucky dive. However she made up for the miss moments later rocketing up the pitch and netting with a clinical reverse smash. Hertford then relentlessly continued to break down the St Albans defence with Molly Pallet finding the backboard again with a strike from top D to close the half. St Albans regrouped after the break but Hertford stayed strong, supported by some great battling defensive clears from Wilkins and Georgia Simpson-Jinks and Hertford were soon back on the attack. Pallet opened the scoring again with a tomahawk into the top corner less than 5 minutes into the half. With the score at 4-0 however, Hertford kept the pressure firmly on and remained tenacious. Wilkins injected the ball into the D to be picked up by Pallet who again hit the target to secure a hat trick and bring home the jugs for Hertford. In the final minutes, St. Albans eventually found a lucky break, successfully overloading the Hertford defence to take the score to 5-1.
to help fund a new hockey pitch to extend youth programmes. If you would like to support on their quest, it’s totally free, please visit https://www.avivacommunityfund.co.uk/voting/project/view/4-2493. Voting closes at midnight on 19th November.